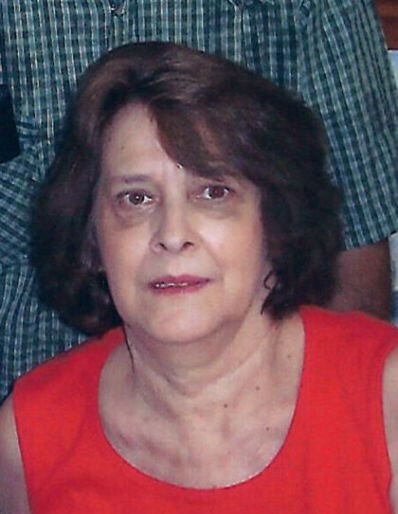 Ludowici – Betty Rogers Morris, 73, passed away Wednesday, February 7, 2018 at her home under the care of her family and Georgia Hospice Care. The native and lifelong resident of Long County retired as an Administrative Assistant from the Atlantic Judicial Circuit District Attorney’s Office after more than 30 years of service. She was an avid reader and a member of Jones Creek Baptist Church. She was preceded in death by her husband, Tommy Morris, parents, Jimmie and Elise Rogers, sister, Margaret Ray, and brothers, Bill Rogers and Darren Ray. Survivors are her daughter, Nikki Morris Lynn and husband Rodney of Ludowici; brother, James Rogers, Sr. of Ludowici; sisters-in-law, Sharon Rogers of Ludowici and JoAnn Cason of Statesboro; brothers-in-law, Jim Levie of Snellville and Henry Holcomb and Howard Holcomb both of Savannah; grandchildren, Delia Wells, Jami Middleton, and Courtney Middleton; great-grandchildren, Rodney Middleton, Rylee Middleton, Rochelle Allen, Tommy Wells, III, and Emma Wells and several nieces and nephews. Funeral services will be Friday, February 9 at 11 AM at Jones Creek Baptist Church with Rev. Allan Pierce and Rev. Robert Long officiating. Burial will follow in the church cemetery. Visitation will be Thursday evening, February 8 from 6-8 PM at the funeral home. Active pallbearers will be James Rogers, II, Walt Rogers, Billy Rogers, Jerry Rogers, Jason Rogers, Chase Rogers, Wesley Johnson, David Futch and Daryl Futch. Honorary pallbearers will be Edd Futch, Marilyn Florie, Evelyn Dunham, Atlantic Judicial Circuit D.A.’s Office Staff, Law Enforcement personnel in attendance, and staff of Georgia Hospice Care. Remembrances are suggested to Shriner's Children's Hospital or Jones Creek Baptist Church, Old Cemetery Fund, 69 Jones Creek Loop, Ludowici, GA 31316.